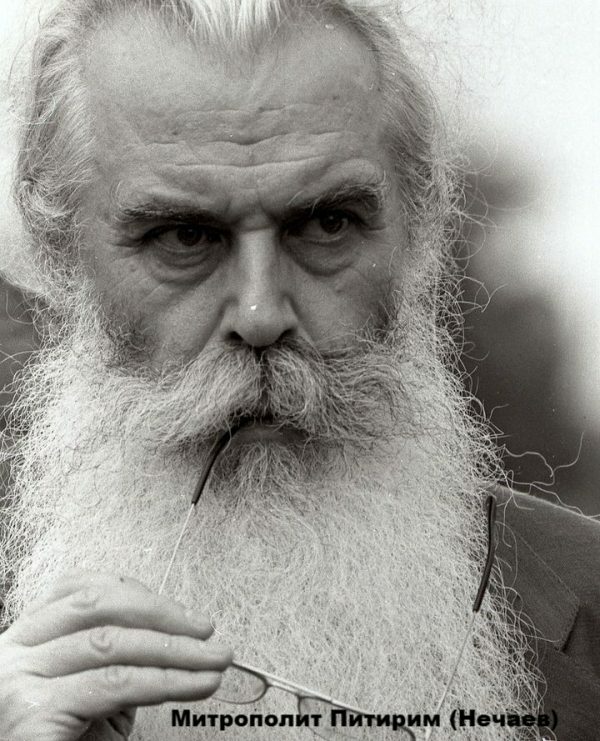 Getting ready to meet father Kyprian (Burkov), studying his earlier interviews, listening to the songs of the Afghan war he had written and sung, I think I expected to see someone different. Valery was only tonsured recently, in the summer of 2016, so most of his life he was a military-man, an officer, and a politician. We saw a man of colossal height, with bright twinkly eyes and a grey beard. 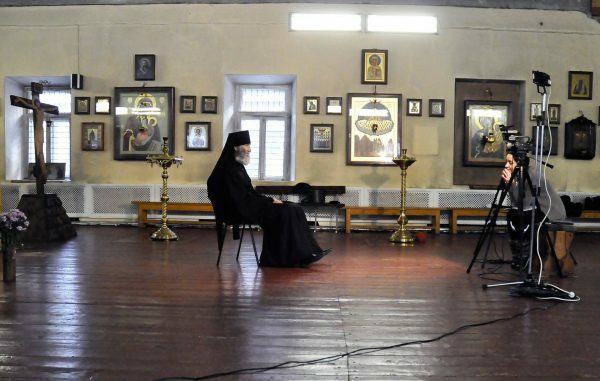 Our cameraman kept forgetting himself, he kept trying to get a blessing from father Kyprian as if he were a priest – there was almost nothing worldly left in his appearance. 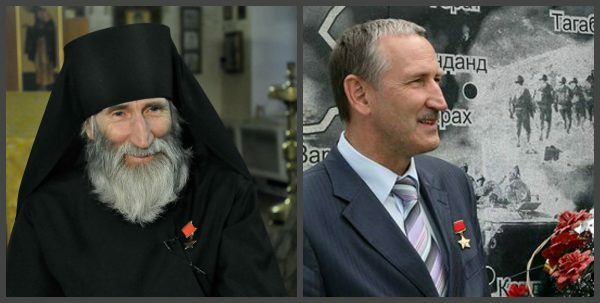 By the way, you would never have thought that father Kyprian has walked on prostheses for over twenty years! 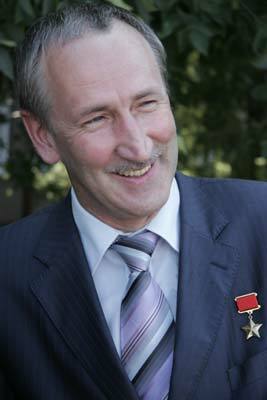 Though monasticism was a logical step in the life of the Hero of the Soviet Union, yet, he is now a different person, very different from the man awarded the highest military distinction, the Gold Star (an insignia worn by recipients of the title Hero of the Soviet Union), in 1991. One of the most serious reasons to stop and think, to re-evaluate life was obviously the war. 1979. The war in Afghanistan begins. Valery’s father, Colonel Anatolii Ivanovich Burkov, sets off for Afganistan as part of a restricted contingent of Soviet troops. In October 1982, news of his death reaches home. 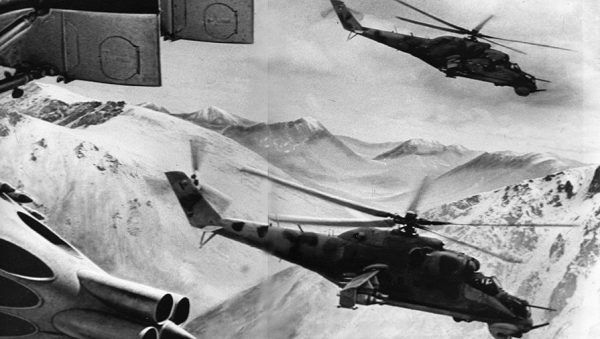 While on a mission to rescue the crew of a helicopter that was downed, Burkov, Snr. was hit and went up in flames in his Mi-8 (the crew were saved). 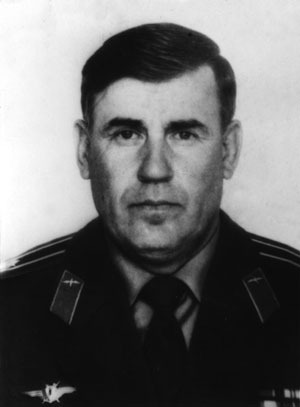 Anatolii Burkov was awarded the Gold Star posthumously. Valery served since the mid-seventies. A graduate of a military university, he served in the Russian Far East, but after the death of his father he literally forced the army command to send him to Afghanistan, though he could have avoided going on medical grounds. Some thought he sought revenge, but, in fact, having made a promise to his father the last time they spoke. 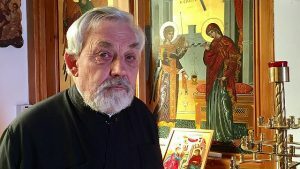 Father Kyprian can look at war from only one angle – it is not a game, nor a place to flex one’s muscles, it is something terrifying, something completely alien to man. Once Burkov did not stand by when he could have, thus saving a man’s life. War is war, they captured a dushman (rebel), who turned out to be no dushman, but a regular Afghan, but to avoid having to drag him along or doubting whether to free him or not (you should never let an enemy go, yet it is also dangerous to take him along), the command decided to get rid of him. Burkov would not let the battalion commander do it to the immense relief of the soldiers who had been ordered to execute the man. To this day, he considers it to be the only worthwhile act in his whole life and in the war. …The nightmare came true in April, 1984. During a Panjshir offensive, the young major got blown up on a land mine. It was mountainous terrain, with great difficulty he was evacuated by helicopter. Awaiting help on top of a cliff, in pain, he thought only of how his mother would take the news. His father had died first, now the son got blown up – how would she bear it? Once, when Burkov was already on prostheses, the very friend in whom he had confided his nightmare came to see him. “So, what now?” – he asked. “Are you going to shoot yourself?” “Of course, not!” That nightmare turned out to be prophetic, and it was a “knock on the door” from the other world, because such coincidences made you think, where did that prophetic communication come from? And the light at the end of the tunnel he saw when he was clinically dead, where did it come from? – I did ask it in song, but it was more of a metaphor, “Why do gods punish me so? I lay there on the cliff, crucified, grinding my teeth, straining my nerves.” No, I never had those emotions. I made a conscious choice in going to Afghanistan, I knew how serving there might end. “So, what can I say, what did I understand? “I’ll give you a simple example, more eloquent than any description. It happened during a military operation. According to regulations, our sappers walked before us. All of a sudden dushmani jumped out from behind a mud brick fence and opened fire at them. 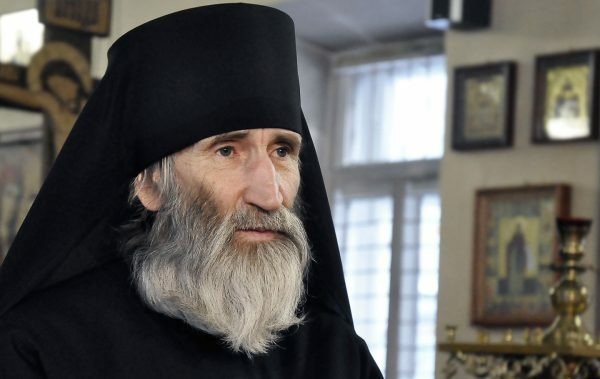 Father Kyprian admits to becoming sentimental after the war – the emotions that were being forcefully contained there came rushing out. – Did you ever cry? I ask. It is 1985. Valery Burkov does return to the army after a year spent in hospital. He enrols in the Gagarin Air Force Academy where he meets his future wife Irina. They got married after the first year of studies. Answering some journalists’ questions about how long Valery had courted her Irena said, “Are you kidding me! It was I who courted him for six months to prove to him I would make a good wife!” Finally, Burkov gave in and believed her. Years later, his wife gave her consent to Valery becoming a monk. 1991-1992. Valery deals with issues of the disabled as President of the Liaison Committee of the Affairs of People with Disabilities under the President of Russia. From 1992 to 1993 he is the President’s advisor on the issues of persons with disabilities. Russia is very much behind in this sector, they basically had to start from scratch. For example, the current concept “bezbar’ernoe prostranstvo” (access for people with disability) was introduced at that time. Then there was another memory, the image of an old lady who once lived next door, dressed in black from head to toe, reading a thick, old Bible. 2003. Burkov returns to politics, he heads the party “Rus” at the National Duma elections. 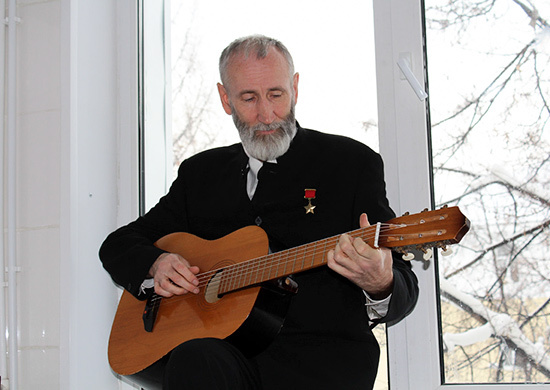 In 2008 he becomes a member of the Kurgan regional Duma. Back to doing social work in an attempt to help people. Online there are some wild stories about his turnaround to the faith: through meeting psychics and then monks; through a poltergeist in his house and a miraculous blessing of the house with holy water from Theophany, fatal to the enemy of the human race; through a car accident. Whereas, actually, according to father Kyprian, he could no longer ignore the “knocking”, because God’s call was too obvious, too personal. 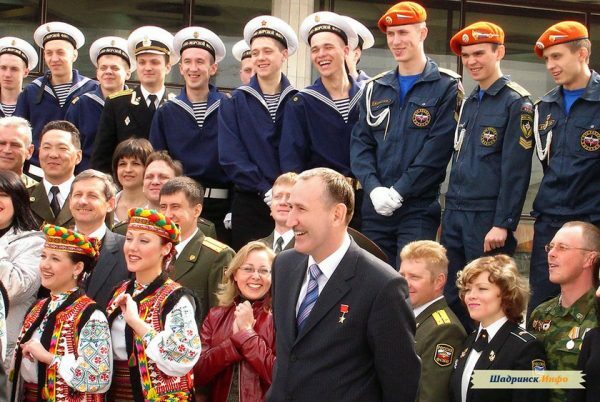 But back in 2009, even before he lay down his deputyship, Burkov set off on his path to God. 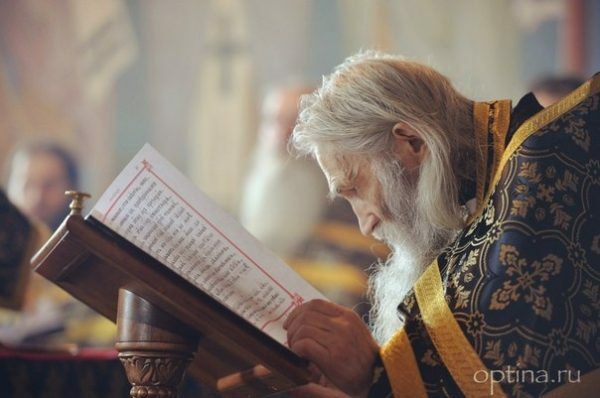 Diligently he began studying the New Testament, spiritual literature, the holy fathers. 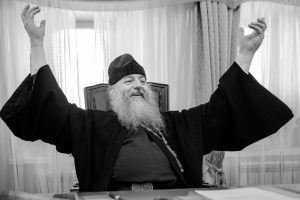 In 2010 he had his first Great Lent and then he says he took a sort of oath of allegiance to the Lord on Pascha. “I brought a list seven-page long to confession – a fabulous report of the sins committed! I went about it as a military man, as an analyst – all the sins listed by line, pluses, minuses, basically, all as it should be! “It was hard to renounce one’s false understanding of things. 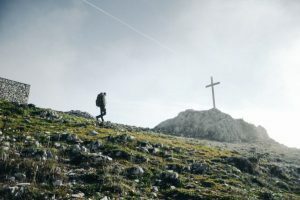 I found myself resisting and doubting every single line of the New Testament: who says Christ is God? Why on earth should I believe this? 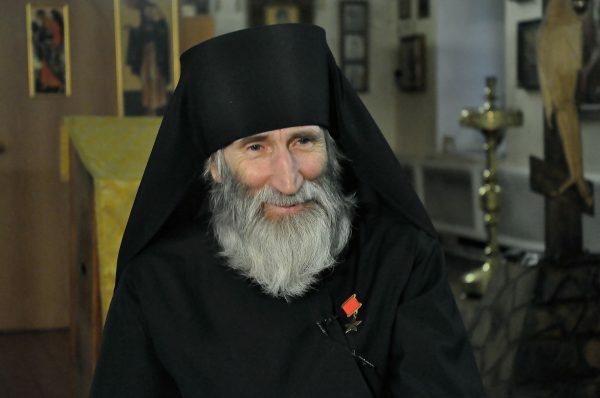 Father Kyprian recalls watching a priest on a television talk show for the first time. They are like my children! 2010. 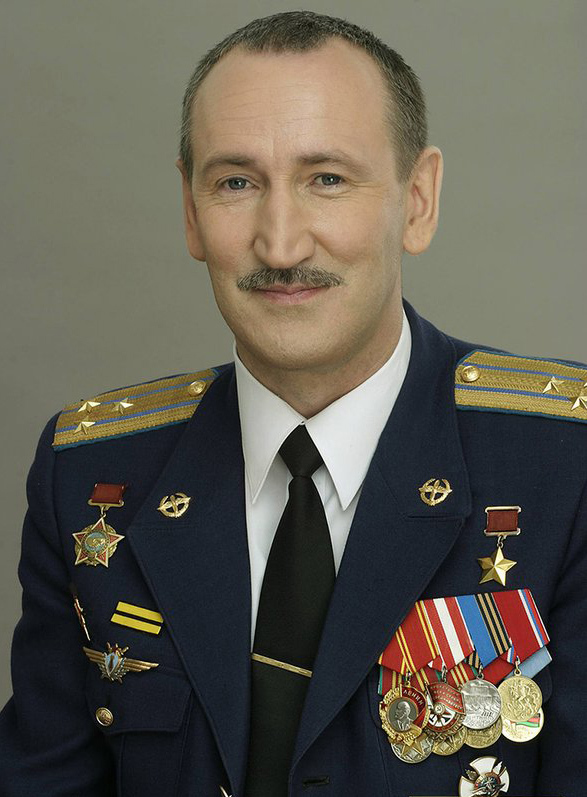 Valery Burkov resigns from his deputyship. He no longer gives interviews, refuses to appear on radio and television shows, “A person getting to know God can no longer be bothered by such vanities.” He started refusing to speak before schoolchildren – something he had got used to during those years – because he no longer knew what to talk to them about. Before he used to speak to them of patriotism, of the love for their homeland, of morality, afterwards he realized it was all meaningless without God, that even love wasn’t love without God, it was nothing but feelings, and feelings tend to change. His country house in the suburbs of Moscow becomes some kind of rehabilitation centre for people with serious problems: alcoholics, victims of religious sects, people who dabbed in magic, psychics, as well as people who simply felt lost. Oddly enough, even Baptists came, there were quite a few Muslims, of whom twelve got baptised. “I can only marvel at the mercy of God! How much does the Lord change people! Afterwards, they would ring me, ‘Thank you, father Kyprian, everything is different now because of your prayers,” and I would be wishing the ground would swallow me up – what prayers?! I don’t even know how to pray properly. It was obvious to me that the Lord worked the miracle, I was only a transponder. Seven years went by in this quasi monastic life. Yet, something was missing… “Obedience was lacking!” says father Kyprian. There was a want of something more, a feeling that something else has to happen in life. There were always anywhere from three to nine people living nearby, whereas he craved solitude. Is it God’s will that I become a monk? When Burkov’s turn came, the only thing that the Hero of the Soviet Union could think of was, “Is it God’s will for me to become a monk?” The elder did not reply straight away, but prayed for a minute or two, then slapped him across the head and gave him a blessing. It turned out that the Bishop had already signed the ukaz, there was no way of changing the date. So, without any step of his own, Valery first became a novice, then a monk. “At first, when I read the prayer, ‘Thy will be done, not mine,’ I could not understand it at all, what does it mean? What happens to me now? I always made all my decisions myself and acted upon them. In time, however, I realized there was nothing better than giving yourself up to the will of God and obeying an experienced person. Because no one knows better than God what is best for you! “You yourself will never be able to arrange your life as God can. And then you act surprised! 2016. 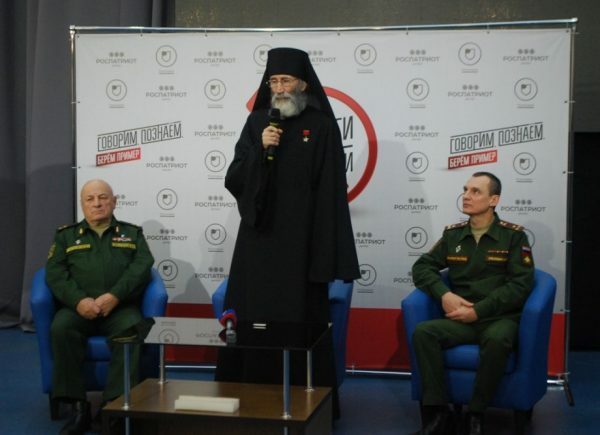 The day after his monastic tonsure monk Kyprian was blessed to wear his insignia, the star of the Hero of the Soviet Union. He was very surprised! He had thought he was done with his worldly life, and with his insignia as well, as he would no longer have to wear suits. Yet he was told wearing it would be preaching. He could not understand it at first, but during the several months spent travelling across Russia, everything fell into place. He’s been travelling around the country since the autumn of 2016. He admits that even as a politician he spoke less than he does now. It is very different now of course, it is preaching. And, it seems, studying never ends. A degree in education from St. Tikhon’s University to focus on religious education, a degree in psychology from the Russian Orthodox University to assist the suffering, a course in missionary work – it is hard in Kyrgyzstan without special skills and knowledge. “We must bring light to our Muslim brothers, and it must be done intelligently,” explains father Kyprian. There are only six monks in the male metochion in Kara-Balta, in Kyrgyzstan. They live in mudbrick cells with wood heaters, father Kyprian fixed one of them up. The conditions are very basic, there is no heating in church. The restoration of the monastery is not going well. It is hard to provide even the most basic conditions for a Sunday school, for a centre of spiritual and psychological help. There is nowhere for people to stay even if they come for one night, there is nowhere to talk to people who come to the monks for help, except their own cells, which is not really proper. 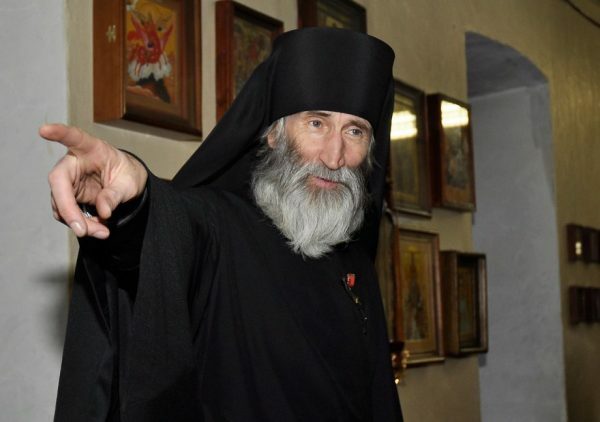 Father Kyprian hasn’t forgotten about life completely. He mentions the officers in Syria whom he knows, thinks the new generation of the military is estimable and praiseworthy. Says the attitude towards the army has changed, has improved. Many people are now vying for admission to military schools and to serve under contract. “Preaching is the most important thing, impressing upon hearts, “Love the Lord with all your heart, with all your soul, with all your mind, with all your might, and your neighbour as yourself. “Let me tell you something. There are three kinds of endeavour: in war, in the world, which is everyday life, and monastic endeavour. I have experience in all three. I went to war, I lived in the world and was married, now I am in a monastery.